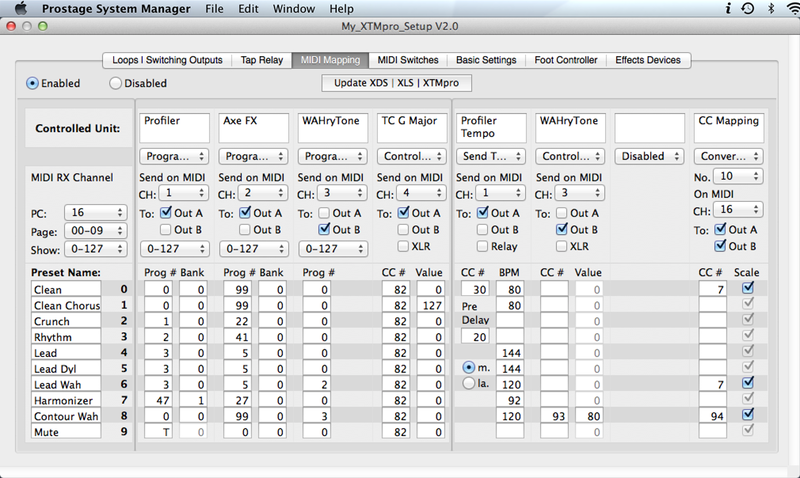 The System Manager is a powerful software editor for Mac and PC. 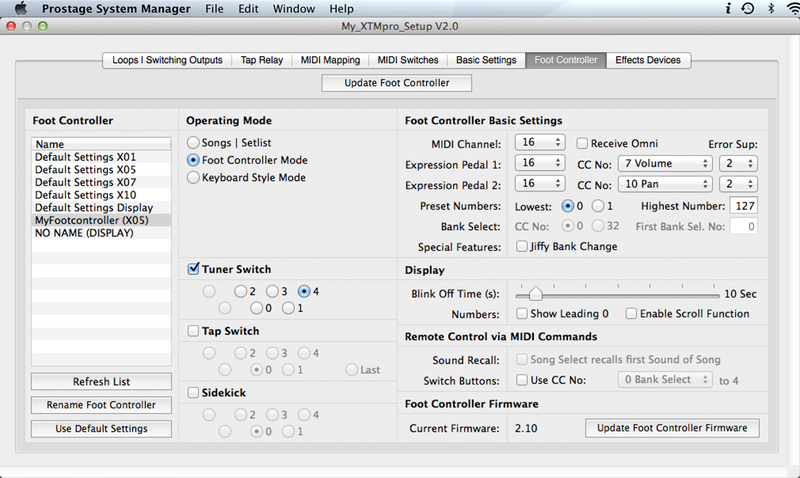 It lets you setup all Prostage MIDI devices easily. 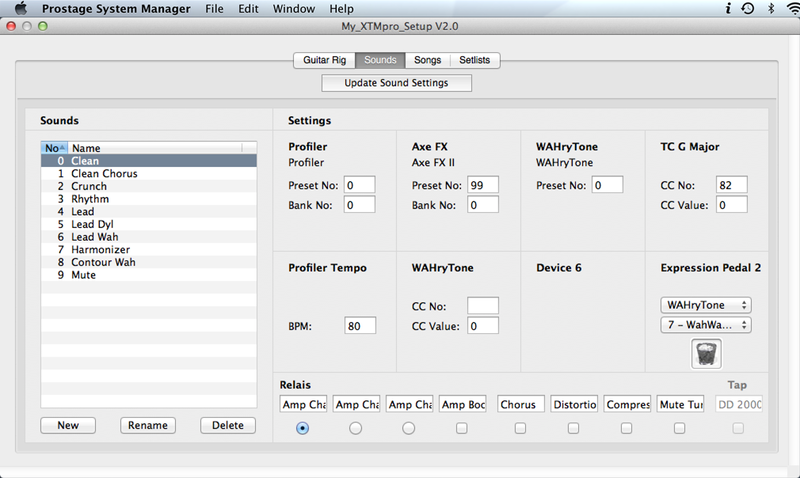 It also offers native support to control today’s digital guitar amps by Kemper, Fractal Audio and others. 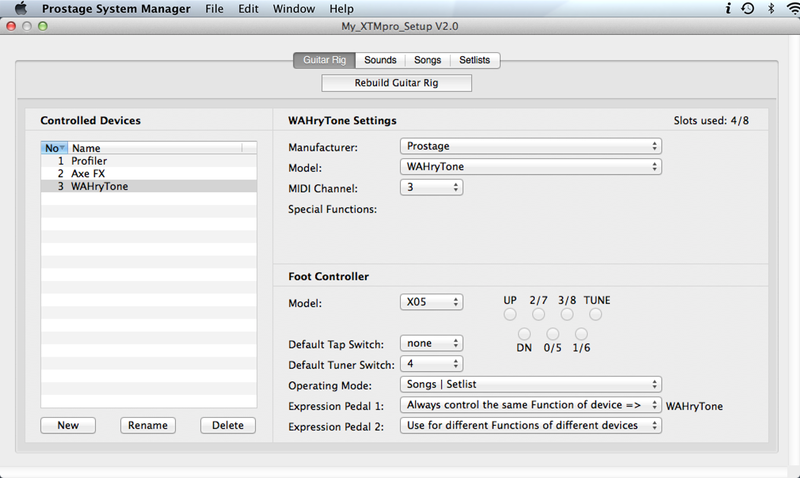 The “Easy Setup” lets you create your guitar rig as well as your songs and presets in an very simple manner. 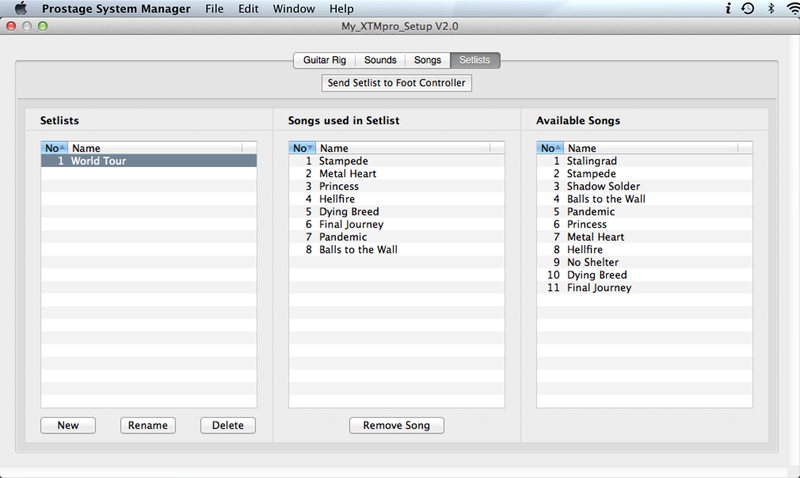 Further, you can arrange your songs to different setlists. Using the “Advanced Settings”, you have control over all settings of the system including a bunch of advanced special features. 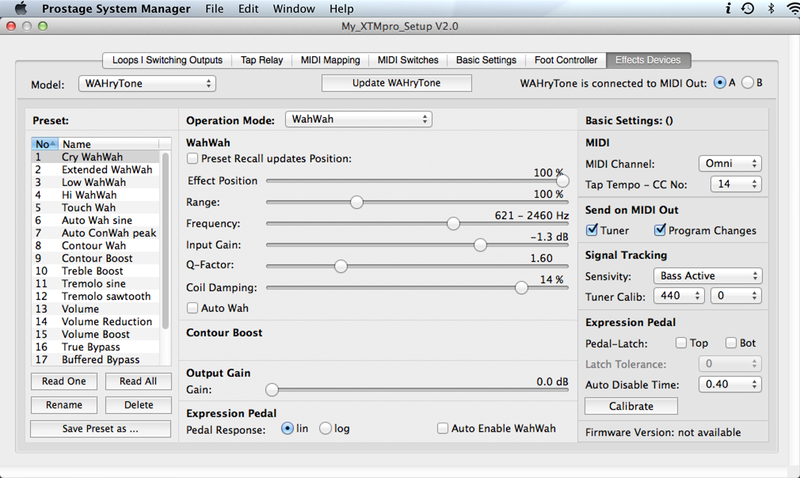 Never before has it been that easy to control you entire guitar rig! 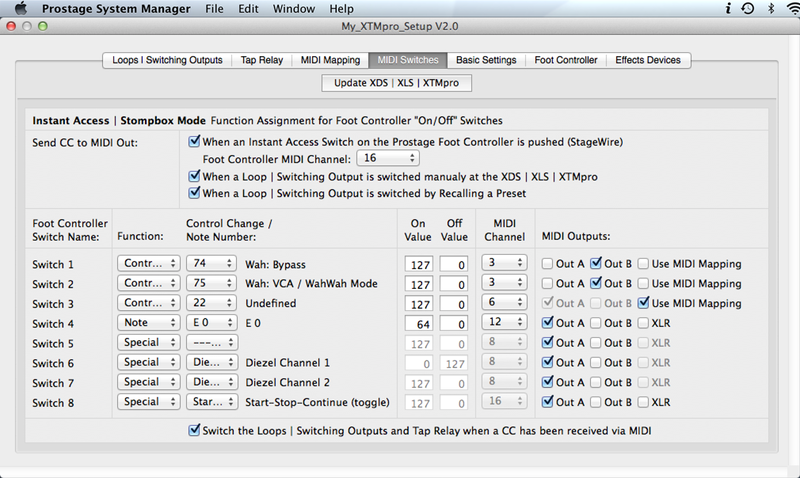 All you need is connecting your computer via USB to the XTMpro adaptor, XDS or XLS Loop & Switch system, which is the “brain” of a Prostage system. You can save the complete system settings to the computer’s hard drive. 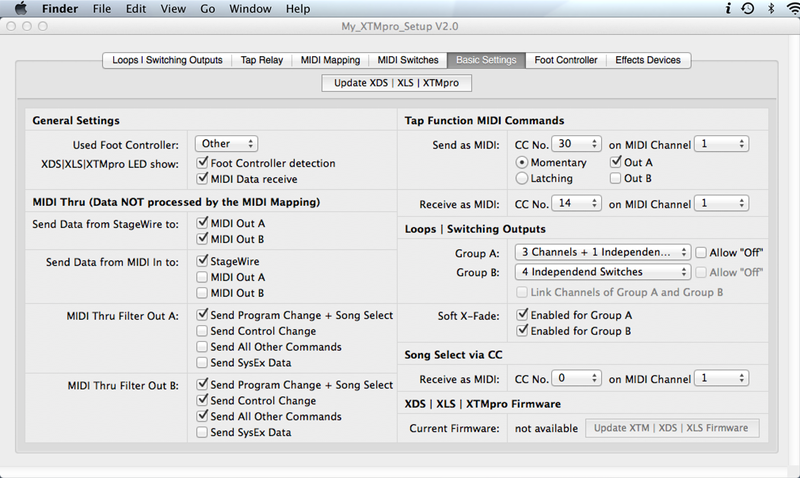 If you play in several bands, you can save different setups on hard disk or flash drive. 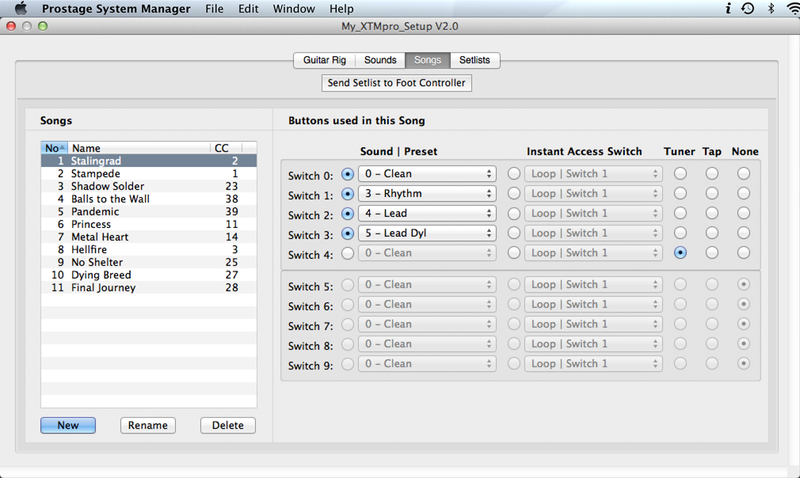 With just a few clicks, the required setup is transferred to the system. Prostage deliberately produce its devices without small displays with a deeply nested menu structure. 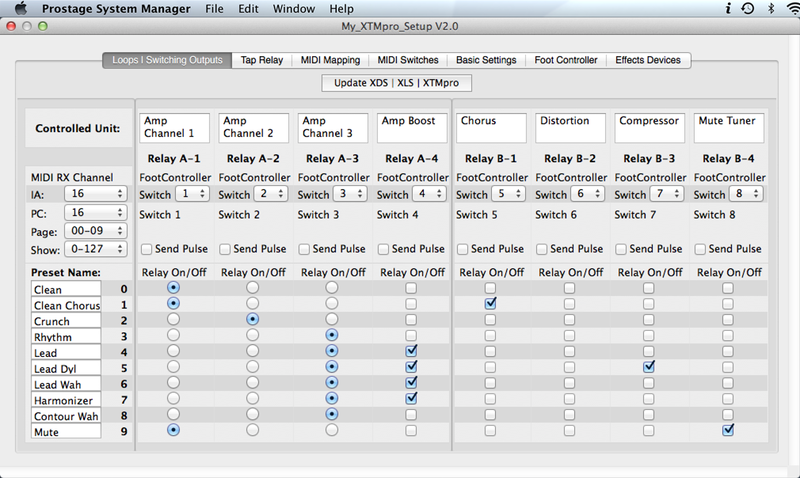 All programming is done using the clearly structured System Manager software. 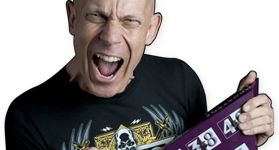 The System Manager supports the Prostage XTMpro adaptor, the XDS Stombox Rack-Looper, the XLS Looper | Switcher, all Prostage Foot Controllers, the Tuner | Text display and the Remote WahWah. 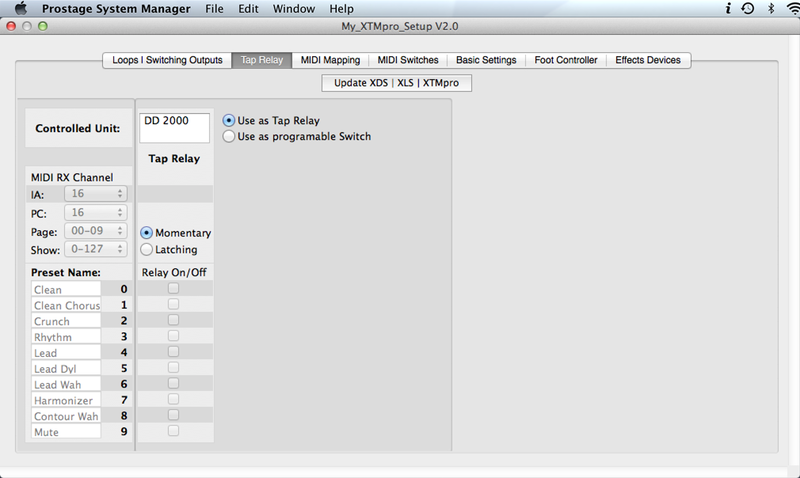 You can download the System Manager software for free and it works even without a connected device. Thus, you can explore the immense possibilities of the system before purchasing.